As a short girl myself, I’ve always found it challenging to find the right boot for my height and frame. Sure, I’d love to wear over-the-knee boots, but unless they have a high heel there’s no way they’ll flatter my not-so-lengthy legs. 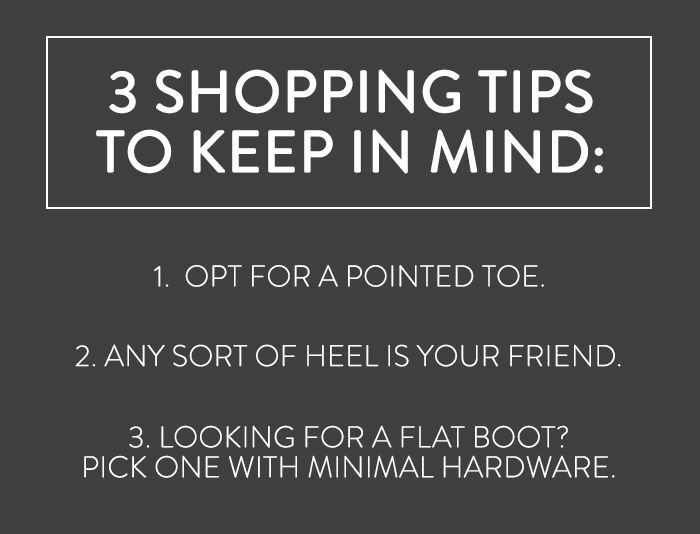 To help out my fellow short-statured shoppers, I’ve put together three important tips to keep in mind when searching for the perfect fall boot. Scroll through to shop our short girl-approved picks that are sure to favour your petite figure. Shop more designer boots here. Shop more animal-print boots here. Shop more tall boots here. Shop more budget-friendly boots here. Shop more western-inspired boots here. Shop more leather boots here. Shop more ankle boots here. Shop more over-the-knee boots here. Shop more flat boots here. Shop more evening boots here. Shop more pointed-toe boots here. Shop more casual boots here. Shop more under $200 boots here. Shop more suede boots here. Shop more comfortable boots here. Do you have a short girl style hang-up? Tell us about it in the comments below!